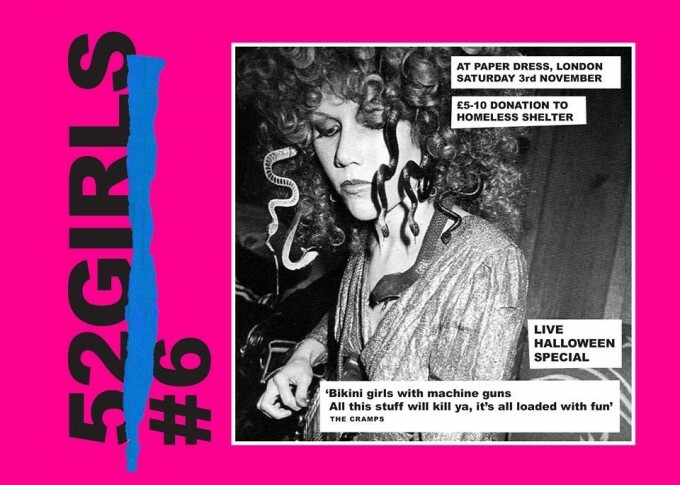 52GIRLS aims to bring together a space for women, femmes, non-binary people and allies to bring empowerment to the foreground. The event aims to celebrate women’s exploration of music and women in music. Expect guest musicians whose projects include Welsey Gonzalez band, Hatcham Social, Jeanie Crystal (artist), JC Flowers, Charles Howl, CXR, Value Void and Great Silkie. FANCY DRESS STRONGLY ENCOURAGED. Competition judged by HRH JEANIE CRYSTAL. 52Girls will be donating 100% of their profit to a local homeless shelter.